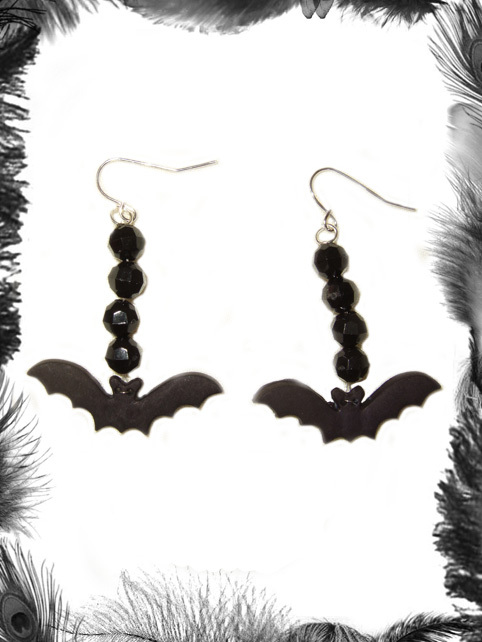 Bat & Czech Faceted Crystal Glass Bead earrings. These are the version with the larger glass beads. Glass Beads currently available in only black, however other colours can be sourced, just ask!